WordPress is one of the most popular CMS at the present time. It is used by millions of people around the world. More than 22% of newly built websites are powered by this tool. This much of popularity gives a rise to the opportunities in WordPress development field. 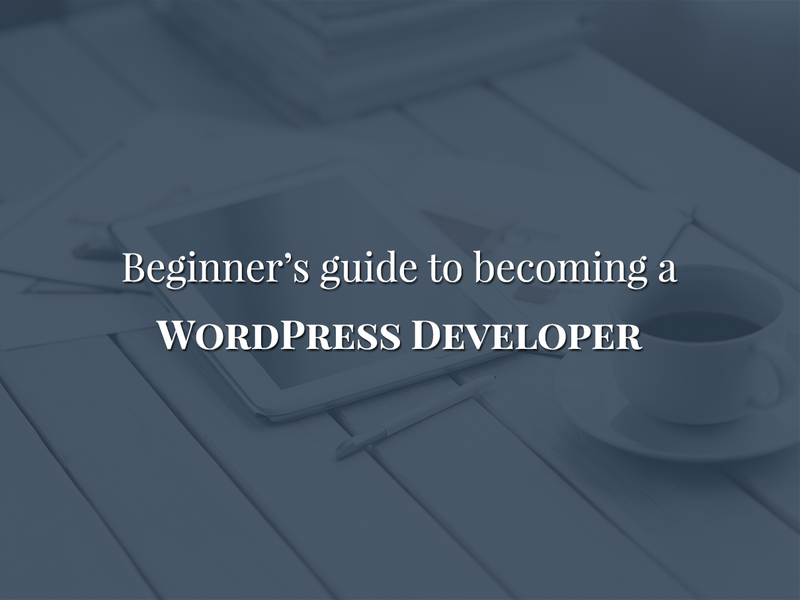 A number of people who want to pursue a career as a WordPress developer are learning WordPress. In such a competition you must be a standout developer in order to have a successful career. Start with connecting to WordPress. There are a lot of options available on WordPress official website from where you can learn a whole lot of things about WordPress. Don’t you find it appealing to learn WordPress from WordPress itself? Although you will need to learn the technology for becoming a master, you can still start with familiarizing yourself with the latest trends in WordPress. WordPress codex is the online manual for WordPress. It is the place where all WordPress information and documentation is stored. It is considered the Bible for WordPress. You can easily improve your development skills by connecting to Codex. As a starter try to concentrate on the WordPress interface as an end user. Codex is something you need to start with to have an in-depth idea about WordPress. Make WordPress is a blog run by the WordPress core development team. You will get a chance to understand the WordPress technology by connecting to ‘Make WordPress’. It is a forum for discussions which can give you a real insight on the ongoing and upcoming WordPress trends and features. As a beginner, you can follow these discussions and start learning. WordPress TV is a great tool to learn about a particular topic on WordPress. WordPress team keeps organizing some camps at different places of the world known as WordCamps. These camps are conducted by WordPress experts explaining different topics. A number of people attend these camps, but it is not feasible for people to be present at every camp. For this reason, all the videos of these camps are uploaded on WordPress TV. So, you need not go anywhere, just switch to WordPress TV. You can easily search for any topic here and watch the video. Moreover, watching a video will give you a better understanding than just simply reading about it. Hanging out with the right crowd can help you a lot in the process of becoming a professional WordPress developer. There are so many WordPress experts who run their own WordPress blogs and keep posting useful tips. Just find some of these useful blogs and subscribe to their news feed. Visit these blogs frequently and ask your queries in the comment section directly from the authors. Start with the blog at WordPress.org. Your technical knowledge is a key factor in becoming a professional WordPress developer. So, concentrate on learning the technology related to WordPress. WordPress is based on PHP and MySQL. WordPress may be very easy and user-friendly but if you want to become a master in WordPress development then you need to master these technologies. Learn PHP and MySQL with practical implementation. It won’t be done by just opting for some online tutorials. You need complete practical knowledge. So go for an extensive course for respective technologies. You have to be familiar with WordPress file system, template hierarchy and need to explore the WordPress codebase as much as you can. More the awareness about the technology, easier will be the success in WordPress development field. It is another important factor to consider as a WordPress beginner. Learn the use of Ajax in WordPress. It is quite possible that you are aware of Ajax but in WordPress it may be used in a different manner. Try to be familiar with this with the help of some tutorials. 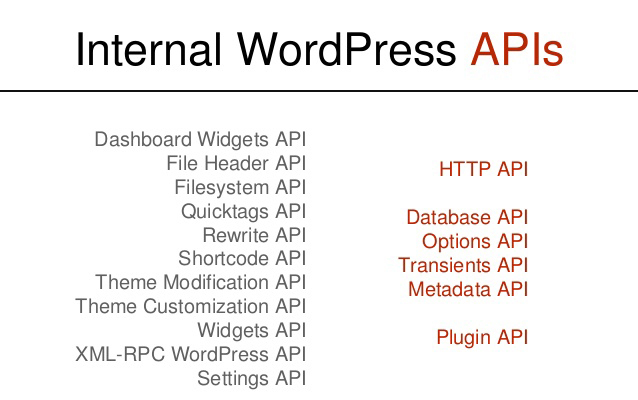 You need to go through the number of WordPress APIs available on WordPress Codex. First, gather information on these APIs and then try to experiment with them in your own examples. It is important to familiarize yourself with WordPress PHP Classes. WordPress developers have created a lot of WordPress classes. Learning about WP_Theme and WP_Query may be very beneficial for you. Once you are aware of these you can use them to your advantage. Writing a code is a different thing and writing a “bug-free code” is an entirely different thing. When you write a code and it has bugs, you need to access it from starting and rewrite it which ultimately hampers your productivity. Although it needs a lot of practice to write bug-free code, you must concentrate on this factor right from the beginning and make it a habit of writing bug-free code. It will amazingly enhance your overall image as a professional WordPress developer. Your journey as a WordPress developer cannot be complete without using plugins and themes. These are two important tools which enhance the overall performance of a WordPress website or blog. You need to understand the fact that a theme is related to the looks and plugin is related to the functionality. If you develop the art of using plugins and themes effectively, you can ensure a serious growth as a WordPress developer. A systematic and dedicated approach to learning WordPress development can help you a long way. WordPress is not very hard to use, so only being a master in it will provide you an edge. Considering the above-given factors in your learning process can surely help you to become a professional WordPress developer. About the author: Marie Thomas is an expert in developing WordPress websites and earns her daily bread from the same. For those who are looking to hire WordPress developers that can match pace with the competitiveness can count on Marie for it. She likes to stay updated with the latest tech advancements and also loves to contribute to the same.